I am experimenting. And I request you, the viewer, to join me..
Just look at the accompanying visual well, and stray into quiet time for a few minutes. Record the thoughts you get in the comments column below..
Let us see how many thoughts appear here. P.S. It would be like counting your blessings. Kiran Gandhi, course director, a senior facilitator and a Trustee at Initiatives of Change, Panchgani, was invited to meet the NIC group. and see for himself the 'transformation in progress' of Nanded City through Nanded I Care initiatives. Here is a short report by Kiran which does inspire hope. 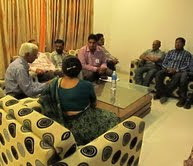 "My wife, daughter and I were at Nanded on 15-16 March at the invitation of Municipal Commissioner Dr. Nipun Vinayak, after having been introduced to him at the Initiatives of Change(IofC) program on Ethics for Public Governance for IAS officers at Panchgani in Nov 2011. They were most inspiring two days. We met a couple of dozen municipal officers and staff who, after their participation in IofC programs, have decided to make a difference to their own lives as well as lives of those they serve. Another highlight was an evening with the dynamic Nanded I Care group in which we saw an amazing passion for taking initiatives to make Nanded a model city. The group comprises of eminent citizens from diverse backgrounds, like academics, business, the media, public service and NGOs. Between them they have the capacity for creating a new model for city transformation based on public-private partnership." Soon after this visit we learnt that Nipun Vinayak, IAS, the Commissioner of Nanded and the moving spirit behind this momentum was moved from Nanded to New Delhi on Centrai Govt assignment. It was a very emotional farewell, and Nanded will not forget Nipun for a very long time. But the real test, and challenge will be to continue the spirit by the Nandedians an d pay a true tribute to Nipun by making Nanded a model city. Our best wishes are with Nanded. This is what Nipun wrote on the face book of NIC while leaving Nanded..
":As i leave Nanded today, my heart is heavy...listening to knowledge link and feedback people ...no missionaries...who ve transformed city...there are hundreds sitting here in a jam packed hall...mostly these are slum dwellers.... The voices of 'hum hoonge kaamyaab...' is sending shivers down my spine....when i had joined city, baba ji told me ...'god has given this opportunity to u to serve people'....one and a half yr..down the line i feel god has really held hands of all of us....we leave nanded for my next assignment in cabinet secretariat as dy sec...with love of all these people...that's a treasure for life !" March 22 is celebrated as International Water Day, but should not EVERY DAY be a water day? 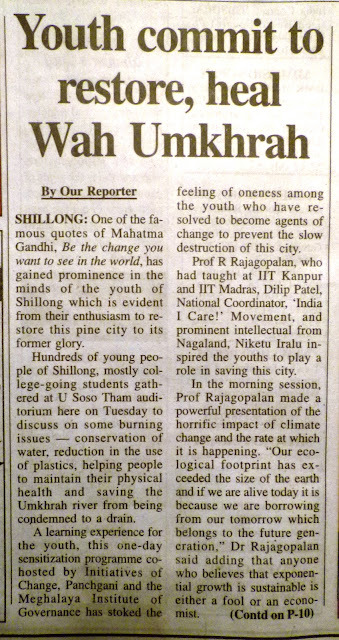 I wish to seize this opportunity to quickly give you glimpses to our Shillong visit on 6th March. Dr. Ravi Rao, Prof R Rajagopalan and I were there at the invitation of Mr K N Kumar, Principal Secretary, Govt of Meghalaya to sensitise the youth there with the environmental concerns, our responsibilities, and India I care. It was an exhilerating experience, and we were overwhelmed with the outcome. 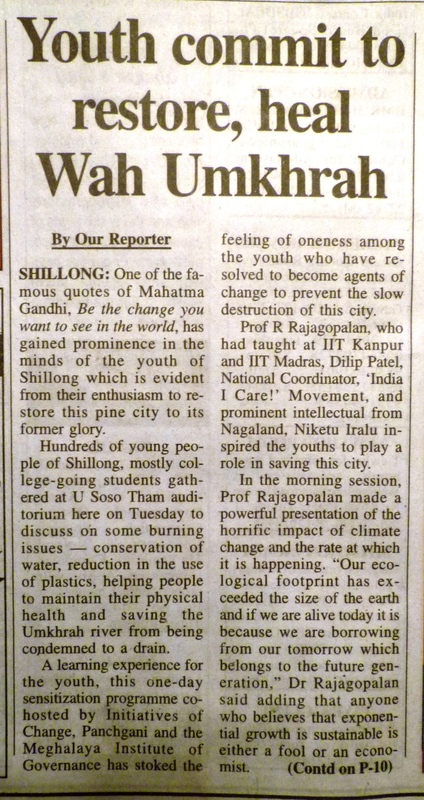 The civil society at Shillong, represented by Padmashri Patricia Mukhim( Editor of Shillong Times), Mr Toki Blah, Mr. Naba Bhattacharjee, Mr. Gagan Jain etc extended their whole hearted support to give guidance and motivation to the large number of youth to create focus on the actions they can get involved with. The newspaper report speaks all. Let us ask ourselves this question, and seek guidance through Quiet Time, if you like,as to what immediate steps am I going to take to conserve water personally, and at family level. It will be great if you take a little trouble to record your commitments in the comments to this post. 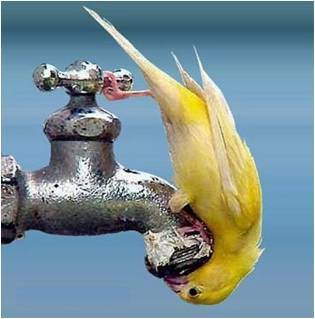 Share also your thoughts on how do we be useful in contributing to the larger social causes on water. www.xploreandxpress.blogspot.com,, also click here for more. Please make this medium interactive. Power of One..India I Dare! Zooni Dash, our young Interns' Co-ordinator at Asia Plateau, Panchgani, while on our NE tour recently, 'India I Dare' concept, exhorting people to take first step for change! I had quite liked the idea, and was toying with the thought of initiating a post on'Power of One', where some one dared to do something new, and heralded a new path. 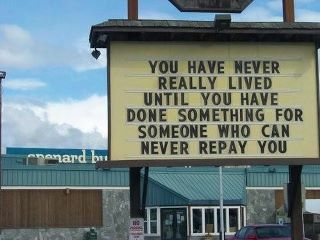 Ordinary people can do extraordinary things! And I got in my mail this, very funny, but true story. One Mr. Okhil Babu's letter to the Railway department. Okhil Babu wrote this letter to Sahibganj divisional railway officer in 1909. It is on display at the Railway Museum in New Delhi. It was also reproduced under the caption 'Travelers tales' in the Far Eastern Economics Review. It led to the introduction of TOILETS in trains in India...!!! No idea is a stupid idea. What is needed is to DARE to ACT. However, outside the trains, on the tracks, the story is still bad. How should IIC address this issue? Hello Friends, the most popular page on this blog is turning out to be the' IIC deposits' page! Rightly so, as all the action has to be seen there. But, why are you all shying away from registering your deposits? Small baby steps is what we are looking for. Please register. It will encourage others, which in turn will again encourage you! So, lets see the stuck up digit 3 as comments on that page starts moving up, and let us see if it turns into double digit in next week's time! One, two, three... GO! In the mean while we are compiling details about some great inspiring actions in NE region. Stay tuned. 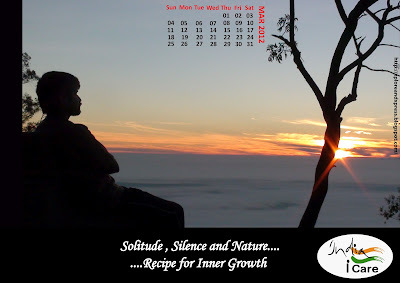 We are entering third month of creation of this blog. In about 60 days more than 1100 views have taken place of the 8 posts that have gone on line. 38 of you have registered as associates/members. The clan is growing. Let us march ahead. 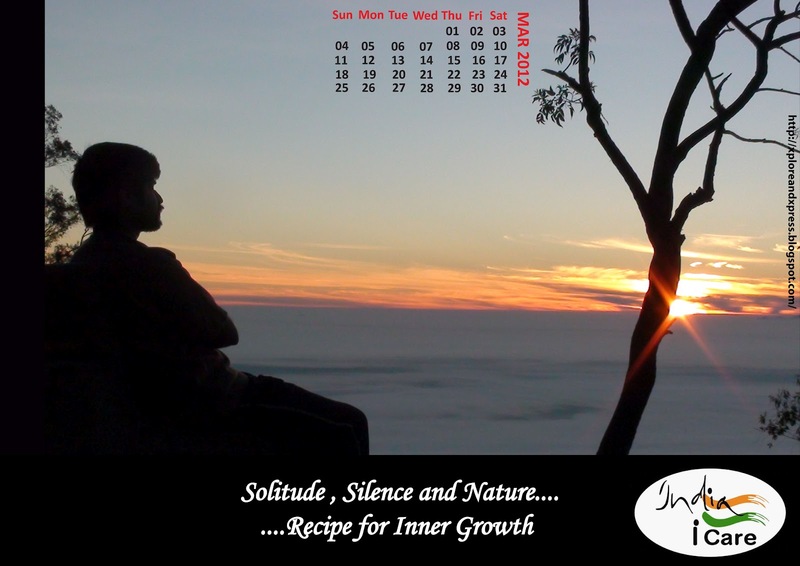 Here is the wall paper for the month of March. "Now, how was the month of February?" 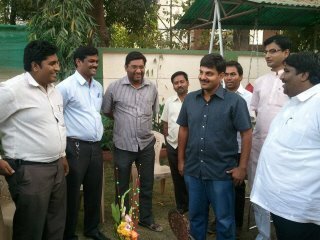 Dr Ravindra Rao and Prof R Rajagopalan were special invitees to Nanded on 4th Feb, 2012. This was following the launch of Nanded I Care by Nipun Vinayak, IAS (Commissioner of Nanded) along with his many Nandedians in November 2011. Prof R Rajagopalan sensitised the invitees with the environmental concerns in his own inimitable style. He spoke in Hindi! Nanded Municipal Corporation is marching ahead with specific plans and programs to make Nanded a model city. More than 150 committed members of Nanded I Care are solidly backing the process. Our best wishes with them. Feb 15th saw participants of Feb HEL descending on Asia Plateau. It turned out to be a superb HEL as the participants from Siemens, Navin and Nanded Municipal Corporation literally took the program to greater heights. See their IIC deposits in the permanent page created for registering every one's deposits to the Character Bank of India. Please be generous in visiting that page frequently making your regular deposits. Almost an year long program, initiated by Mr Tushar Girinath, IAS, the then Commissioner of Collegiate Education, came to conclusion this month. Nearly 2500 Asst professors from Govt colleges across karnataka went through this specially designed residential program for 7 days each in batches of 40 profs each since March 2011. I of C, Bangalore team was given two and a half days' duration out of it with every batch, and the one of the important sessions was on India I Care. Please await a seperate post on it this month. The fall out is that around 40 Profs are likely to register for our annual Educators Conference from May 8 to 12 this year. "How is March lined up?" Mr K N Kumar, IAS, from Meghalaya Cadre, who was at Asia Plateau in Jan'12 batch of IAS officers, is organising a massive awareness campaign for youth in Meghalaya to get involved with the environmental issues. Dr Ravindra Rao, Prof Rajagopalan and Dilip Pate are the invitees, along with Neha Mukherjee from AP and Mr Niketu Iralu and a couple of youth from Nagaland to conduct a day long motivational awareness program for 500 to 600 youth on 6th March, 2012. Launch of 'Shillong I care' is in the offing.We will post the proceedings here soon after. Mr Om Bagaria, a veteran with I of C, located in Assam is organising programs at Tezpur and Guwahati to prepare grounds for launching Tezpur I Care and Guwahati I Care concepts. The March HEL will take place this month, and we are sure the corporate members will give similar response to IIC this batch also. We will hear more about it later. 1.Please register yourselves here and take the figure of registered members to three digits. Do it Now! 2. 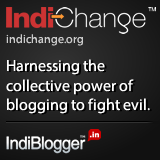 Take the idea of IIC to people within your circle of influence, and get them on this site. Expand your own circle of influence through India I care. Let us take the views figure to five digits. 3' Continue celebrating week ends as India I Care days and DO SOMETHING VISIBLE which is a new DEPOSIT to the Character Bank of India. Register it here on the IIC Deposit page. This blog is meant for inducing ACTIONS.